The Visible Infrared Imaging Radiometer Suite (VIIRS) on the Suomi NPP satellite acquired this natural-color image of Super Typhoon Mangkhut around midday on September 12, 2018. Around the time that the image was acquired, the U.S. Joint Typhoon Warning Center (JTWC) reported that the storm had sustained winds of 150 knots (170 miles/280 kilometers per hour), with gusts to 180 knots. Maximum significant wave heights were 41 feet (12 meters). 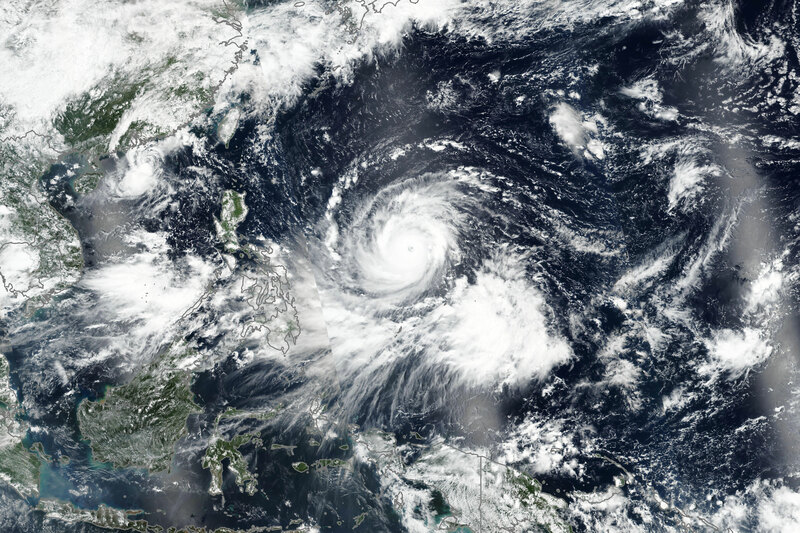 Mangkhut become a typhoon on September 9 and reached super typhoon strength on September 11. 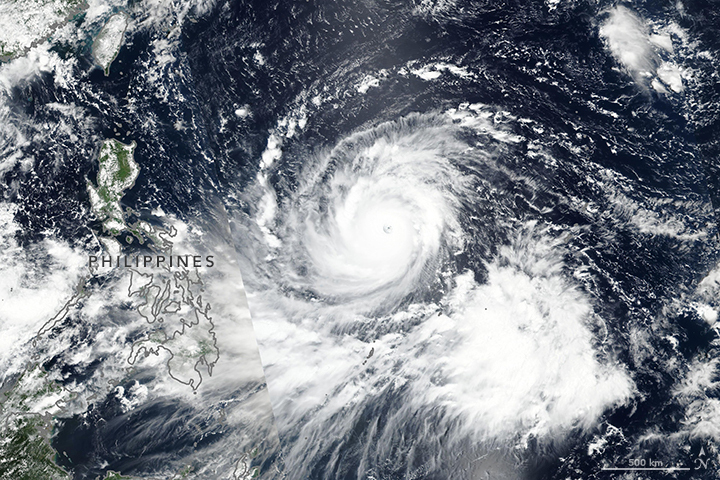 The JTWC predicted that the storm should cross the northern Philippines on September 14, before taking aim at Hong Kong and southeastern China on the 16th.